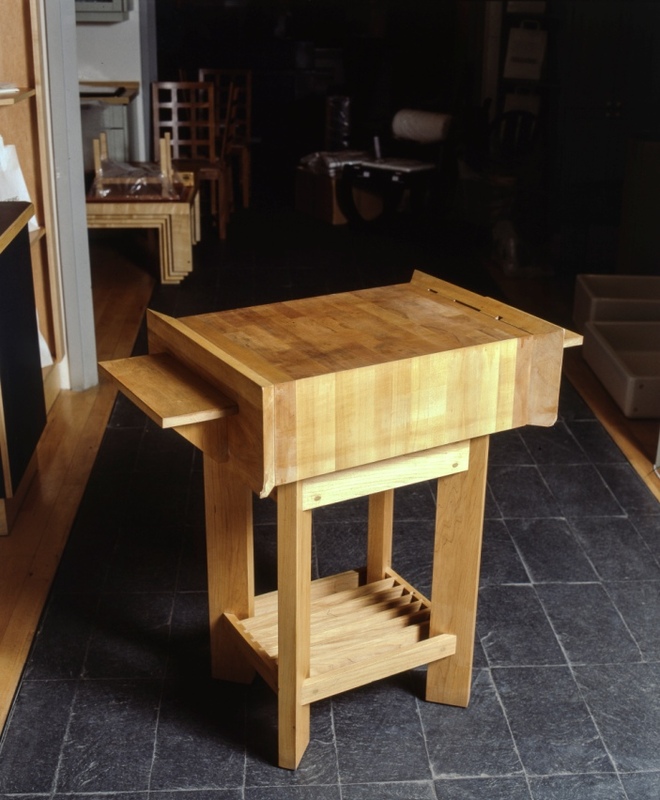 The end grain chopping block was a feature within the L&H showroom display in Drury Lane. The table set adjacent had canted corners. The chopping block conversely, and so embraced the table end with a snug fit confirming the compatibility of the two pieces of furniture. Made in Maple a traditional wood for chopping blocks, this item, possessed of witty sharp detail brought the integrity of the Butchers Block into the 20th Century. Something that Mark Lewis managed to repeat the concepts and features of the kitchens and other furniture he designed.